And before writing this, Guru Sahib meticulously and truthfully describes how those who were sent by Akal Purakh failed to propagate His Naam and instead declared themselves as Lord. 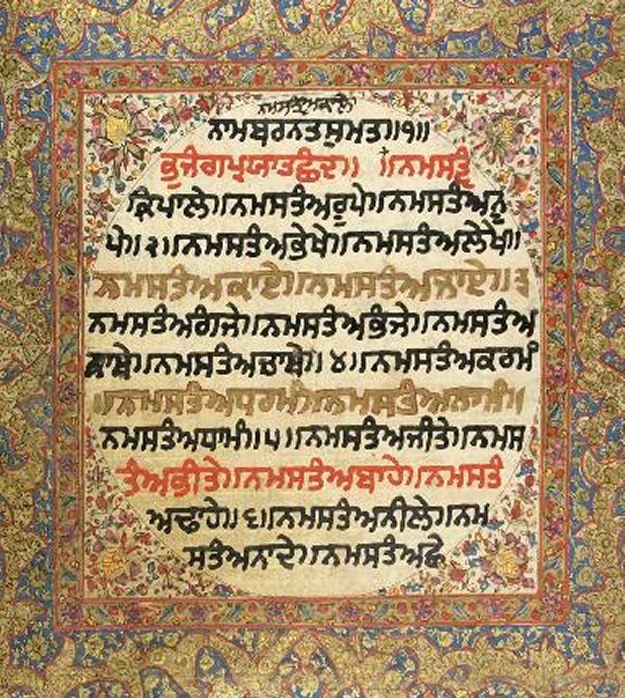 A few stanzas after that Guru Sahib in the same composition (Apni Katha) writes that his Dharma is the Dharma which was initiated by Guru Nanak. After witnessing the tradition of Gurmatta at Akal Takhat Sahib, Malcolm writes in details on how the Khalsa convenes the great national council (Gurmatta). Among other things that Malcolm has written about this tradition, he notes that when the chiefs and leaders were seated in congregation there were two granths which were placed in front of them, ‘Adi-Granth’ and ‘Dasamay Patshah ka Granth’. This is a rare eye witness account of the events at Akal Takhat Sahib including its maryada. Dasamay Patshah Ka Granth is the primary name of Sri Dasam Granth which was prevalent among the Khalsa in the 17th and 18th century. This title even appears on some of the oldest beerhs. Sri Dasam Granth was never addressed with the name ‘Bachittar Natak Granth’ as is being falsely propagated now by Dilgeer et al. Those who propagate this lie don’t even have any knowhow of the structure of Sri Dasam Granth which is the collection of various works by Guru Sahib, ‘Bachittar Natak Granth’ being one of them. Hence ‘Bachittar Natak Granth’ is a part of Sri Dasam Granth, but is not the old name of Sri Dasam Granth. Khalsa Ji, what ever he write, he write in Khadi Piti. So this is what we need to tell Sikh Sangat, that dont take him seriously. When he opens the bottle at night, he just write what ever he likes without head or tail specially when he have chicken leg in is hand.